I love when an author hits the big time later in his or her career, like Hillary Mantel, who won the Man Booker in 2009 for Wolf Hall, and who won it again this year for its sequel, Bringing Up The Bodies. 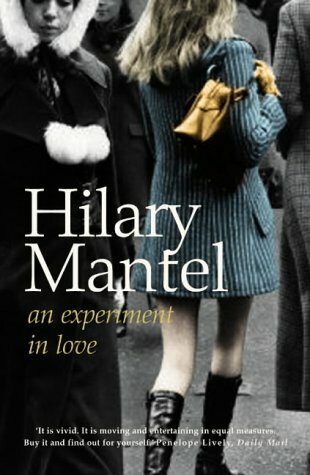 Having read both books, and loved them, I started searching Mantel’s back catalogue and came up with a piece of treasure, namely An Experiment In Love. Set in 1971 its the story of three girls, Carmel, Karina and Juliette who leave their bleak northern town to go to university, and halls of residence, and a whole new world of post-teenage concerns. Beautifully written, with extremely black humor, the book truly comes to sparkling life in the passages about Carmel’s childhood relationship with her angry, dominating mother. They bring to mind Jeanette Winterson’s Oranges Are Not The Only Fruit, andt the same writer’s recent memoir, Why Be Happy When You Can Be Normal? Carmel’s bleak outlook on life, underpinned by her dysfunctional relationship with her mother and her childhood friend/nemesis, Karina, is the glue that holds this book together, as the girls face anorexia, unwanted pregnancies, and a shocking denouement none of them could ever have imagined. If you want a good. absorbing read, look no further.